An effective hiring process is key to positioning a company for present and future success. It can also be a bit like running a marathon with feet shackled and eyes blindfolded. Here’s one of the most critical contributors to a failed hiring practice — bad communication. In fact, that’s true of business in general, with poor communications skills accounting for significant financial losses for both large and small ventures. Even for companies with around 100 employees, miscommunications have been estimated to account for losses of around $420,000 per year. It doesn’t take long in an office setting to recognize that getting people on the same page, is never easy when email is the primary means of communication. Emails have a particular knack for getting overlooked, misconstrued, sprout chains and side conversations, getting copied to the wrong people, and consuming copious amounts of time. Live communications, either in person, by phone, or via video chat, are an excellent way to alleviate some of these common problems. But if you’re looking for a written record, or a place where ideas and dialogue can percolate, workplace messaging apps like Slack are a great boon. Within the context of hiring, Slack channels can be useful during many phases of the hiring process. Including brainstorming about organizational needs and gaps, new positions, and discussing candidates. Slack also integrates with various HR utilities designed to make the hiring process easier, like Hired, an applicant marketplace. Nothing is more embarrassing than suddenly realizing you’re an employee short, deficient in a particular skill area, or unable to meet an organization’s needs. All scenarios which can lead to a confusing and rushed hiring practice. Keeping one eye on the present, and another in the future is a responsibility that’s best shared. A common, transparent set of needs and documents is the best way to accomplish this task. A needs analysis allows you to identify what specific skills are critical to a business’s success. Note that this list shouldn’t just be about which skills you lack, but should also include the ones you’ve got, and what kind of expertise you’ll need in the future. Next, make sure there’s a second, separate list of skills that are covered by your employee base. Compare those two lists, and, voila, you’ve got a gap analysis. Simply put, a gap analysis is an analysis of where you are now, versus where you want to be. A wonderful side-benefit of a thorough gap analysis is that it allows you to identify whether or not, required skills missing in one department, might already exist in another. This opens up options for interdepartmental collaborations, reshuffling, or private hirings, which might be a better and certainly cheaper solution, than hiring externally. A cloud-based approach is a perfect way to create an organic and transparent collaboration environment. The process can be as simple as using a traditional spreadsheet app like Google Sheets or Microsoft Excel Online, both of which can be seamlessly integrated with numerous cloud-storage platforms — like Google Drive or OneDrive. Once you’ve made the decision to hire, it’s time to define the position and profile of the perfect candidate. It’s a process that should be a holistic effort, rather than a one-person job, and once again, the cloud is a perfect ally. Begin with a bare bones document. It can be based on preceding employee descriptions, but don’t settle for that, even if you’re replacing an individual who’s leaving. Remember to utilize your needs and gap documents, and take into account both future needs and skills sets that are lacking. Extend involvement beyond just the hiring manager. Include senior members of the team, in addition to individuals in other departments who will get affected by the new position’s sphere of influence. What are the immediate responsibilities to be fulfilled by this role? In what ways could this role evolve in the future? What are the core competencies required for success in this position? Which behavioral attributes should the ideal candidate possess? What are the attributes of an individual who would not be successful in this role? Once you’ve gathered all the intel, design a straightforward, no-nonsense job description — avoid splashy language. As an internal document, you’ll want to make sure it’s something difficult to misconstrue. Invite stakeholders to comment on the document, by either, using the comment functionality of a cloud-based word processor, like Google Docs or Microsoft Word Online, or by creating a feedback channel in Slack. The goal here is to have a document that precisely lists responsibilities and qualifications for the position. So that it’s useful to not only hiring managers when they evaluate a candidate, but it also gets used to set expectations and track the performance of a candidate you’ve settled on. While an internal document should be no-frills, the job posting you send out into cyberspace should have some oomph to it. Remember, you’re not just trying to portray the position accurately, but also attract the best candidate as well. That requires fluid, informative prose, which will seduce the imagination and get candidates excited about joining your business. Begin with a title that accurately conveys a sense of the role. Which isn’t necessarily going to be the same as the internal job title, particularly if an organization uses unique monikers. Similarly, avoid being too gimmicky. Unless your goal is to hire an armor-clad warrior with a generous heart of gold — “Defender of Data” isn’t necessarily going to attract the right candidate. Then, sell your organization. Be concise without being skimpy. Include snippets of info about organizational history, mission, programs and accomplishments. Using that introduction, describe the position while highlighting its importance to the continued success, and future growth of your organization. Next, list the candidate’s primary responsibilities. While this part doesn’t need to be as exhaustive as your internal job description document, it does need to paint an accurate picture of the role, and highlight some of its more appealing aspects. Follow this with a list of core competencies expected. It can be helpful to break these up into “required” and “desired” sections. This helps keep unqualified candidates from applying, while ensuring that you don’t miss out on a candidate who, while may not be exactly who you envisioned, is the best candidate for the job. Once again, collaborative tools like cloud word processors and Slack will help solicit the feedback needed to make your post pop. Internet job boards are legion. Are just the iceberg’s sparkly tip. Moreover, more and more social media sites, led by Linkedin, are being leveraged by recruiters to broaden their reach. However, in the case of recruiting, with great power comes lots of logins. Registering with job boards, adding postings, manually updating your social media feeds, and monitoring for responses takes time. In fact, according to 74% of employers, it takes over half an hour to post a job to all of the places they source. Job-posting software can help ease the burden. Such tools allow you to create a job order, and then kick back and relax, while all the tedious work is done for you. Such functionality is included in most popular applicant tracking systems. iCIMS’ JobTargets OneClick is a good example, with a selection of over 14k online job boards. For those not looking to invest in a comprehensive tracking solution, standalone job-posting software, is likewise available. Popular in this field is Talemetry Job Broadcast, which allows a user to post in hundreds of free and paid job ad sites, and social media sites, from a single interface. Both, click-to-post and automated functionality (based on user-defined rules) are available. Talemetry Job Broadcast also integrates with broader cloud talent recruiting and developing solutions, such as Oracle HCM, as an add-on app. Of course, sometimes the best way to track down the “perfect candidate” is to look within for help. Your employees have their personal network connections. Leveraging those relationships is a more honest approach, compared to hiring candidates from job boards. Referrals don’t just help hasten a job search and produce higher quality candidates. Studies show that referrals also speed up the onboarding process and improve employee retention. Of course, they do cost more than hiring through job boards: $1,671 versus $2,306. But a $635 difference isn’t likely enough to impact your ultimate return on investment, which favors referrals. When an employee has a friend or former colleague, they believe would be a good fit for your organization, historically the approach has been to walk into human resources, and hand in a copy of their CV/resume, or to shoot it off in an email. Both are clumsy ways of managing referrals, particularly for larger businesses. Thankfully, that approach is now obsolete, thanks to dedicated cloud reference applications, that organize and manage the process on a user’s behalf. Standalone tools like Zao can create a job, set a reward, and send it off to your employee network. What I find particularly neat about Zao, is that it checks an employee’s Linkedin network, and lets you know who might be qualified for the position. Zao also promotes referrals through gamification. Other referral solutions of note include Jobvite Refer and Zalp. Knowing where the bulk of your applications are coming from can help further tune your job posting distribution strategy, and maximize those recruitment dollars. For example, if you know that a job board which costs large sums of money isn’t yielding quality candidates, you can cut that cost and redirect the hiring budget elsewhere. Usually, online applications include a drop-down list of sources for candidates to select. But sometimes, these lists are long and confusing, and so is the application process. And so applicants just pick something and move on, yielding inconclusive results. Wouldn’t it be nice if this process could be automated? Jobvite helps you do just that, via a handy recruiting dashboard that monitors application source at various points. Many other recruitment and application tracking tools do the same. The technology works by adding a unique tag to the end of a job application link when the job gets automatically posted, or when an employee fills out a referral form. It just needs to be turned on. Job posting and referral technology might broaden your reach and bring the applications rolling in, but doing so feeds into another painful aspect of the whole hiring process. Of course, I’m talking about (virtual) stacks of resumes. Applicant tracking systems help ease this pain, by partially automating the resume reviewing process, and narrowing the field for you. Let’s use the popular applicant system, iCIMS, as an example of how this scene plays out. iCIMS uses a technology it dubs “iResume,” to automatically accept resumes from multiple mediums, eliminating the need to feeding it data. Once it has a hold of the data, the system parses it intelligently to store it in a centralized database, as a candidate file. Types of information that get seamlessly extracted include contact data, job history, and skills. That data is then cross-referenced against the skills listed in your job description. Positively profiled resumes are ranked and flagged for further review. Once again, for those that don’t want a fully-fledged applicant tracking system, there are standalone text-analysis software solutions, which do the same thing — such as Textkernal. Going through multiple interviews, only to discover a serious mismatch between your candidate and the defined role, can be a major time hassle. Planning to issue online assessments before an interview is a great way of helping eliminate this risk. Implementing skills training as part of your application process can also help narrow the field of screened candidates. Competency solution, eSkill, estimates that it can cut hiring costs by 68%. Assessing how an individual will fit into the organization, both regarding relationships with managers and peers, and in terms of company culture, shouldn’t be overlooked. However simple this process might seem in your mind, don’t be fooled. Sure, you could hop on SurveyMonkey and whip together what might appear to you, a decidedly exceptional skills test, but we humans have a knack for overestimating our assessment capacity. Plus, depending on where your business operates from, there may be legal guidelines governing such testing. In America, for example, there are guidelines issued by the Equal Employment Opportunity Commission, that need to be adhered to, so that one is protected from legal liability. Testing solutions can help implement an assessment protocol, which eases the risk of a flawed approach and adheres to legal and ethical guidelines. Consider finding a solution that offers both behavior and intelligence/skills testing. 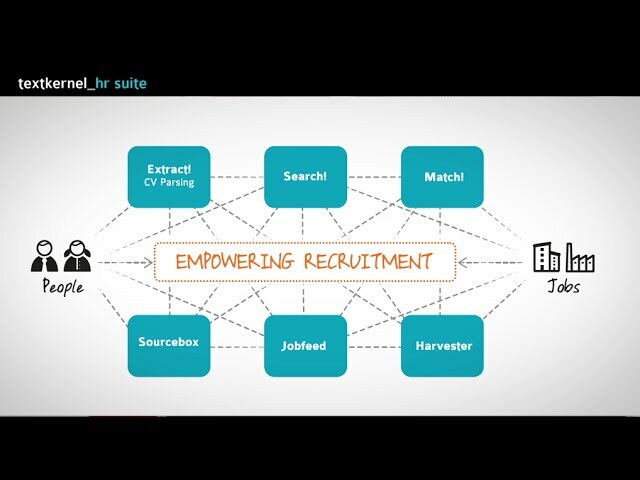 Also look for applicant tracking integration. Once you’ve found a potential candidate for the position that needs filling, it’s typical to conduct a quick screening, to make sure they understand what the job entails. And to clarify and confirm, the job history and skills detailed in their CV. Then, package your notes with the candidate’s file and send it along to the hiring manager, so they can make a decision on whether or not to proceed. However, switching from phone to video screening adds a whole new element to the recruitment process, by letting you develop a face-to-face relationship from the start. Video chat allows you and the applicant to engage in not only verbal, but also nonverbal communication. Nonverbal cues such as facial expressions are integral to our ability to interpret nuanced meanings. Not only is this a more pleasant, richer experience for all involved, but the video can then be shared with the hiring manager to watch at his or her leisure. Using video chat is also an increasingly viable way to conduct higher-level interviews with long-distant candidates. The process saves an organization from having to fly them over, potentially at considerable expense. If you opt for a service like Skype, the cost of replacing phone interviews with video chat is nonexistent. Dedicated HR-video chat solutions, such as HireVue, are also on the market. However, it helps to incorporate a live video solution that’s integrated into your recruitment workflow, as opposed to a clumsy standalone approach. As it happens, most application tracking systems either integrate easily with existing video chat services; or come packaged with their native video chat capabilities. The problem with live video interviewing, ironically, is the fact that it’s live. Taking time out of your day to conduct a 30-minute screening interview, that consists of static, clarifying questions is perfectly fine if you’ve landed the perfect candidate. But what about those cases in which, five minutes in, you realize the candidate is not a fit, but you’re forced to continue owing to the obligations of a company spokesperson? Asynchronous video interviewing is a way to circumvent this issue. Simply put, asynchronous video interviewing is the opposite of live interviews. Technologies like Async Interview, allow you to prerecord questions, shoot off interview invitations to potential hires, and kick back while the technology does all the work. In addition to not having to sit through fruitless screenings, since you can just stop the video, an asynchronous approach loosens the selection process’ bottleneck. As with live video interviewing, another benefit of this interview style is that it helps share the workload by encouraging collaboration. Rather than having one person in charge of screening, multiple members of an organization can review candidate responses, and supply their individual assessments, at their personal leisure. Asynchronous video interviewing also helps reduce frequent interruptions that are still common in live video, like lag. Typically, such an approach allows candidates to view and prepare for questions before hand. If that’s an issue for you, consider a solution like VidCruiter, which can set up a “re-record” option, force a candidate to do the interview in one go, and even implement a question timer. In fact, most companies track a 60% abandonment rate among online applicants. Considering all the time you’ve spent on the job posting and getting eyes on it, having most of your pool decide not to apply because they weigh the effort of filling out your online application against the slim chance of getting called back–well, that’s not okay at all. Of course, you might decide to ignore a candidate who isn’t willing to jump through your virtual hoops to land the job. But you also have to consider their experience with the process, might help lead them to decide that your organization isn’t particularly well run and that they would be better off elsewhere. If you’re serious about understanding and improving a candidate’s experience, then understanding the application’s abandonment rate is only a part of the process. You have to know precisely what part of the process is causing people to throw up their hands in dismay, and watch Netflix instead. Since you can’t track down these people individually and ask them what’s up, find a tool that will do the job for you. Unfortunately, this is one area where you’re unlikely to find a stand-alone solution. However, many applicant tracking systems have built-in functionality that does the job. For example, Cornerstone ATS generates dashboard reports that let you monitor completion rates for each stage of the applicant’s process. If you’re looking for a primer on common causes of application abandonment, this Society for Human Resource Management piece is required reading. Another benefit of pre-recorded interviews which stands out pretty quickly, is the beautiful simplicity of being able to compare one candidate’s answer, to another’s, on the same issue/question. While standardized questions are the norm during prescreening, as the interview process expands, standardization often disappears. The result? Candidate experiences diverge, inconsistency buries objectivity in bias, and feeds unnecessary divides about who the best hire is. This scenario is rather common among larger organizations, where different people, with different ideas about what makes a candidate a good fit — rotate through interview duties to divvy up the workload. Another issue with unstructured interviews is that often they lead us to unconsciously spend time confirming the impression of a candidate, which we develop in the first couple of minutes. Psychologists call this phenomenon confirmation bias; a tendency to look for or construe information in such a way, that it fits into our preconceived notions. Moreover, there are people out there so sure of their ability to judge a candidate’s fit, that they interview blind, deciding to wing it. On the surface, the solution to this problem is pretty simple; prepare a list of interview questions beforehand for each interviewer to ask. This approach is known as a structured interview. To help further solidify commitment to the process, work with your organization partners to develop the list, remembering to include them in the interview process. This act will contribute to establishing responsibility. Use a cloud-based form application to organize the list, leaving space for interviewees to input their notes, and perhaps rank applicant’s responses to their questions. I like Google Forms because I’m used to it, but there are more sophisticated (and paid) alternatives out there. If you envision interviewees using a tablet to conduct their interviews, iFormBuilder might be the perfect fit. It’s designed specifically for mobile functionality and offers complete offline accessibility. Getting everybody on the same page, after an interview can be just as difficult as getting everybody on that same bloody page, before and during it. Part of the issue is that most employees have a lot more on their minds than organizing their thoughts into constructive feedback. Unfortunately, this leads to shallow responses and bad hires. Enhance the process by helping interviewers focus their thought processes. Design a formalized feedback system, that includes closed and open-ended questions, and rankings. You can use some of the same tools used to create your structured interview questionnaire. Share the results of these surveys, by once again tapping into the power of cloud technology, which will provide a platform for stakeholders to engage in a dialogue, based on their schedules. There are a few stand-alone tools that enable this sort of approach, such as Checkster’s “Interview Checkup” solution. Or, if you’d prefer an applicant tracking system, most offer the capability to comment and attach documents to a candidate’s file. Check out this example from Workable. Background checks conducted by potential employers typically require consent from the candidate, with rules varying depending on country and region. Beyond that, it’s up to you how to proceed, and what kind of background checks you want. While work history, education, and criminal record are commonplace, some employers also seek to examine financial information, medical history and perform social media audits. Self-service websites are cheaper, but in addition to being more time consuming, they also carry inherent risk — since they’re not usually compliant with the terms of the Fair Credit Reporting Act. Which means that using these services to screen applicants might put your organization at legal risk. Additionally, such websites do not provide educational and work employment verification services, so you’ll still need to spend time confirming those. Full-service firms, meanwhile, typically universally abide by the procedures laid out in the Fair Credit Reporting Act. Such as getting consent from the candidate and allowing them to review the completed report. If you’re looking for a self-service solution, BackgroundReport.com is FCRA compliant and offers pretty quick turnaround. For many recruiters, reference checking is the icing on the cake — a way of confirming one has made the quintessentially perfect hiring decision. For others, it’s a necessary evil. Either way, chasing down references (i.e., playing phone tag) can be laborious scutwork. Those providing recommendations have responsibilities of their own, so scheduling time to speak with you, might not be high on their list, no matter how highly they may regard the candidate being considered. And when you do finally manage to sync schedules, too often reference conversations are forced and full of niceties, designed mostly to end the call quickly. Here’s a thought; how about letting the reference givers deliver their assessment on their own time, when they have time to sit down, think, and reply earnestly? Automated online reference checking services, like Checkster’s Reference Checkup, are leading the trend in that department. Reference Checkup is a cloud-based solution that allows individuals to answer a series of questions about the candidate. Better yet, your candidate is responsible for part of the legwork. With Reference Checkup, and similar solutions, you invite the candidate to access the tool, and he or she, in turn, encourages their references to participate. HireRight Reference Bank is another great written solution, while VidCruiter’s Vid Referencing technology throws audio and video options into the mix. You’ve made the big decision, and now it’s time to onboard the new hire. Historically, that meant lots of paperwork, initialing, and signing on the dotted line. Paperless HR solutions like WorkBright have revolutionized the process, making it significantly less painful for everyone involved. For you, this means no data entry or scanning, and no time spent going over paperwork with the new employee. The best tools offer military-grade encryption and get updated in real-time, adhering to the latest government requirements; so you can seamlessly stay on top of all legal obligations. For the new hire, they can complete all their onboarding paperwork online, before they even have to show up for work. They receive an email inviting them to a dashboard, and from there they can access, read, and e-sign the required onboarding forms. That way, their first day is spent getting acquainted with new peers, and figuring out how to work the coffee machine (crucial task), rather than being holed up in a tiny conference room trying to stave off fatigue as they sort through legal jargon. A cost-effective, automated, paperless process also ultimately saves your business money. Plus, employee paperwork is always just a few clicks away, in case you need to reference it in the future. Many applicant tracking systems, and most human capital management systems, offer the same options. Training, whether it’s HR or skills related, takes so much time that it’s often rushed, or put off too long and too often. Doing so, particularly with new hires, risks disengagement and disenchantment. A cloud-based virtual training environment (aka, a learning management system, or LMS) will allow new hires to partake in training when it fits their schedules, at their pace. While virtual training environments may take some effort to setup, the benefits they bring to a candidate’s and company’s success, merit consideration. Happily, there are some excellent solutions out there. Captivate Prime allows users to design and set up courses quickly, and assign classes via an enroller. Their native Fluidic Player can view videos in online or offline mode, as people take notes while they’re learning. Captivate Prime’s dashboard keeps an eye on their training, and gamification features such as leaderboards and achievement badges encourage participation. That said, Captivate Prime is more of an enterprise solution. For those with smaller budgets and fewer employees to train, some eLearning providers come packaged with successful cloud-based courses. There are thousands of solutions out there, so finding a fit for your precise needs might take some time. Improving the hiring practice should be an ongoing effort, one of the best ways to do so, is to reinterview the new hire one last time. Find out what they didn’t like about the process, and work with that info to improve it. After all, who wants to offer negative critique to the people who just hired them? But done right, it’s an excellent way to get your new hire involved in helping refine your approach to hiring. Alternatively, you can also take the approach of sending post-interview surveys to all applicants who underwent the process, before your booking decision got made. You never know what nuggets of gold might get unearthed, and an anonymous survey approach is a good way to ensure potential hires provide honest answers which won’t impact any decisions. Creating a survey with Google Forms is one avenue. It’s free (you automatically get 15GB of storage on Google Drive just by setting up an account) and simple, and creates surveys in just a few minutes. You can also invite collaborators to comment on the survey, and even make edits. As long as you don’t include fields asking for their names or email addresses, Google form responses are completely anonymous. Numerous other apps also create surveys for free, in addition to dedicated review sites, that take a little work out of the process. Excel Online also has a free survey builder, which integrates response data into a cloud-based spreadsheet, allowing you to maintain an organic pool of survey response data. Want some honest and occasionally snarky feedback? The Internet is perfect for that. While forums and employee review sites are rife with disgruntled would-be, ex, and even current employees, if you maintain an open mind and thick skin, complaints can be a wonderful source of actionable intelligence. And, let’s face it, when a potential hire is considering your company, they’re very likely to do their due diligence. It helps to know what the buzz is about your business so that concerns can get adequately addressed during the interview process. Today, everybody’s favorite employer sounding board is Glassdoor. Glassdoor provides outsiders with internal business perspectives and salaries, plus insights into the interview process– including likes and dislikes. Managing your reputation in cyberspace is important if you want to attract top candidates. Glassdoor reports that 46% of their members read company reviews before they even speak to a recruiter, and 69% would not take a job with a company that has a poor reputation. Negative reviews are also an excellent way to figure out that a company’s culture needs improvement. Doing so can contribute to leveling up current employee satisfaction rates, boost retention, and mitigate the need for excessive hiring. Well, those are the top 21 tips we have to give about the onboarding process, thanks for sticking around till the end. Do you have any tips, ideas or thoughts of your own to share? Feel free to leave them in the comments section below. Rahul is a content strategist and freelance technical writer. He helps tech companies grow their revenue and visibility with content and social media. Also, Rahul is an active member in local tech startup community and associated with Headstart Foundation - India's largest community of early stage entrepreneurs.